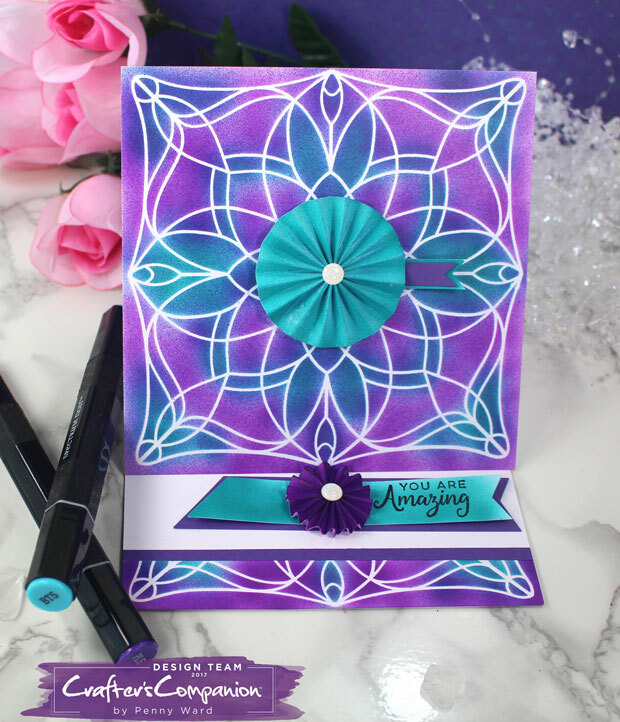 As promised, I have something new with the Encouraging Words release from Simon Says Stamp. Using the new Carolyn Stencil and some Spectrum Noir markers. White Fancy Card Blank to make the easel card. A couple of eBrushed rosettes and an encouraging sentiment.